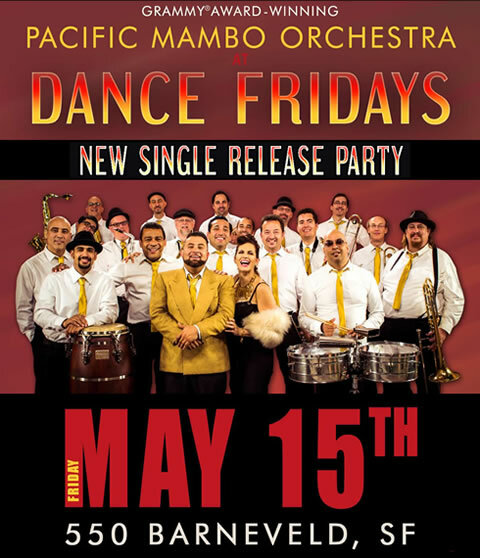 The west coast gears up for the Pacific Mambo Orchestra's release party for their new single and first official video, the "Pacific Mambo Dance". After the closings of beloved venues Café Cócomo and The Addition (formnerly Yoshi's SF), Bay Area salseros and salseras are out in force seeking a new home-base. Let's hope this new Space 550 can rise to the occasion and accomodate this 20-piece powerhouse. The PMO will bring its legions of "música tropical" lovers to this new club next Friday May 15th. *This event will sell out and tickets are $10 more at the door. On related news, the PMO is set to perform at the Stern Grove Festival on Sunday June 21st with special guests and fellow grammy award winners Sheila E. and Marlow Rosado. The event should be called Grammys on the Grove if the Academy would allow it. The concert is sponsored by KPFA 94.1 FM. The Stern Grove Festival is FREE and takes place at the Sigmund Stern Grove, a 10,000 audience capacity, beautiful outdoor amphitheater located at 19th Avenue and Sloat Boulevard in San Francisco. More to come on this story. Mambo's gonna rock your world! Hay Un Run Run is the first single and video for Septeto Santiaguero's new double-album: No Quíero Llanto, Tributo A Los Compadres. The tune features José Alberto and a fantastic vocal-only breakdown with clever (mouth) percussion effects. A real hoot! 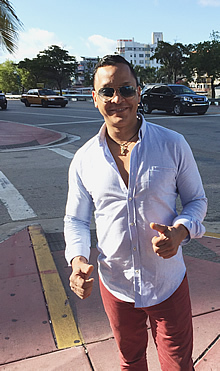 The album is a collaboration with Dominican Salsa Star José Alberto (El Canario) -- who also co-produced the work -- and will be released on his record label. 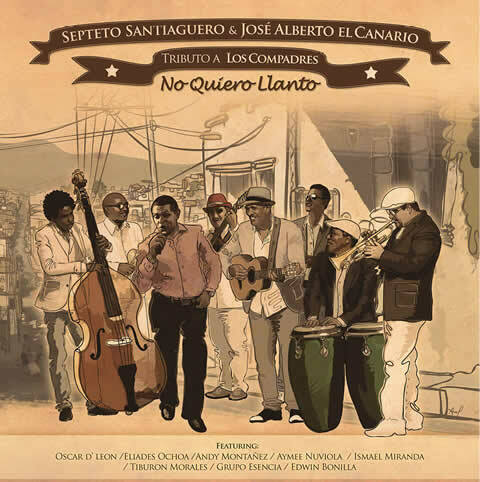 The songs are a tribute to the famous trova duo Los Compadres, of which Compay Segundo of Buena Vista Social Club fame was once tresero and singer. The release date is May 12. It also features a slew of incredible artists: Osacar D'León, Eliades Ochoa, Andy Montañez, recent Latin Grammy & Grammy Nominee Aymee Nuviola, Ismael Miranda, Tiburón Morales, Grupo Esencia from Puerto Rico (their track Sarandonga is gold!) and Edwin Bonilla. Celebrating their 45th Anniversary & New Album "La Fantasía"
I spoke to Samuel Formell today and he was about to leave Miami and return to Cuba. The orchestra will be in the US in July 2015 through August 25th. 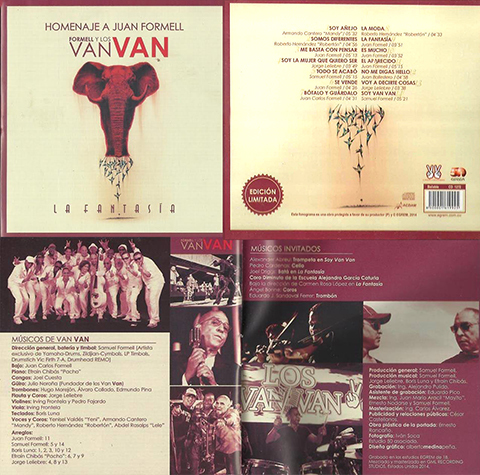 "This year marks the 45th anniversary of LOS VAN VAN and preparations are underway for this summer's 2015 USA Tour, in support of our new album La Fantasia, created an as homaje to my father, Juan Formell." Samuel said. "Jenny, Roberton, Lele and Mandy will be singing on this tour. We have dates already booked for San Francisco, Los Angeles, New York and Miami with many more to come. We look forward to the return of EL TREN and he will be performing with a 15-piece band." Searock Music LLC proudly announces the U.S. 2015 tour of Formell y Los Van Van, Cuba’s legendary, Grammy-winning dance orchestra. Performance dates will be posted on www.Searockmusic.com and on Facebook under SeaRock Entertainment. 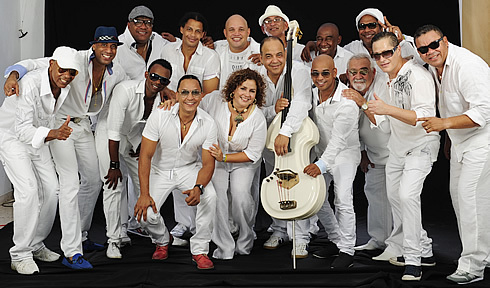 Heralded as Cuba’s greatest dance orchestra and known throughout the world for their iconic live performances, Los Van Van return to then US, reuniting with Leo Tizol, the producer and creative force behind their 1996 debut tour of the U.S.
PALO! anticipates Grammy(R) week with video premiere and concert. - Miami’s Afro-Cuban Funk band PALO! has much to celebrate: A Grammy nomination and headlining a concert at one of Hollywood’s top music venues. In anticipation of Grammy Week, timba.com is featuring the Exclusive World Premiere of their music video “La Malanga Resbala”. PALO! storms Los Angeles on February 3rd for Grammy week with a series of high profile appearances on TV, radio and digital media. (Follow “gopalo” on social media to keep track.) The week culminates with Music’s Biggest Night: The 57th Grammy Awards on Sunday, February 8, 2015. On Friday, February 6, PALO! will be performing at Catalina Jazz Club in Hollywood. The video for “La Malanga Resbala” features a 1950’s-influenced approach. PALO! collaborated with directors Ralf Gonzalez and Andrew Peña, art director Rene Quesada, and fashion designer Yas Gonzalez, who created singer Leslie Cartaya’s look. “They did a fantastic job to reflect our mix of vintage and contemporary sounds.” Roitstein told timba.com. “The Cuban flavor is echoed in the visuals.” In addition to the Grammy Nomination for Best Tropical Latin Album of the Year, the album “PALO! Live” was also nominated for a 2014 Latin Grammy. For more information about the group, see gopalo.com.